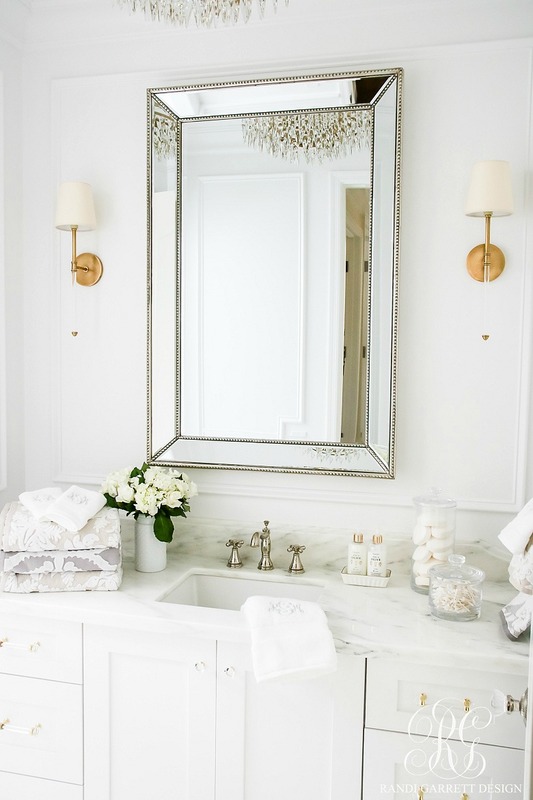 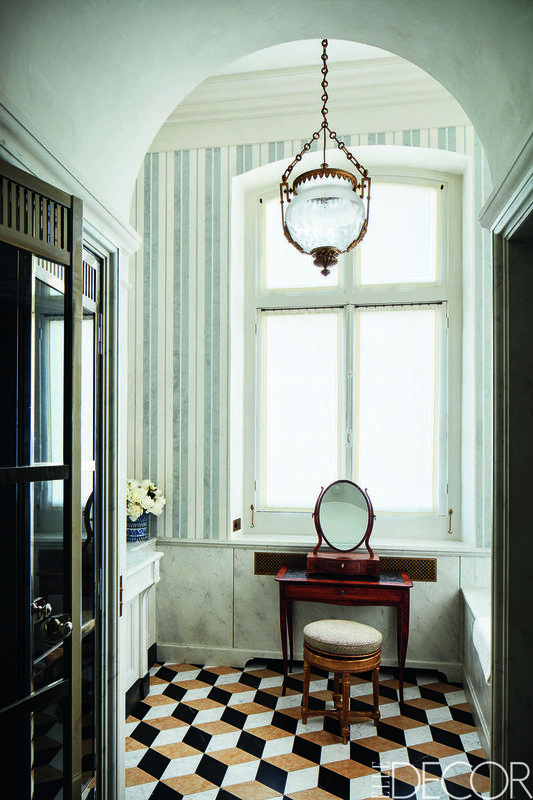 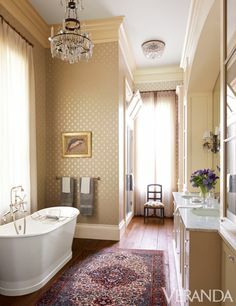 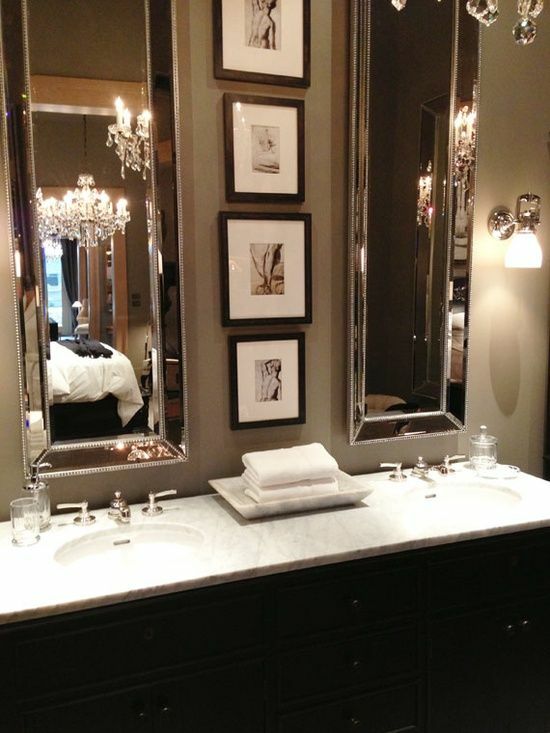 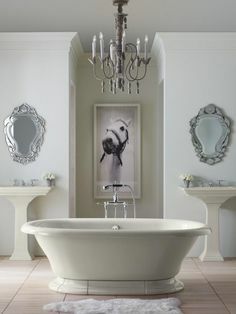 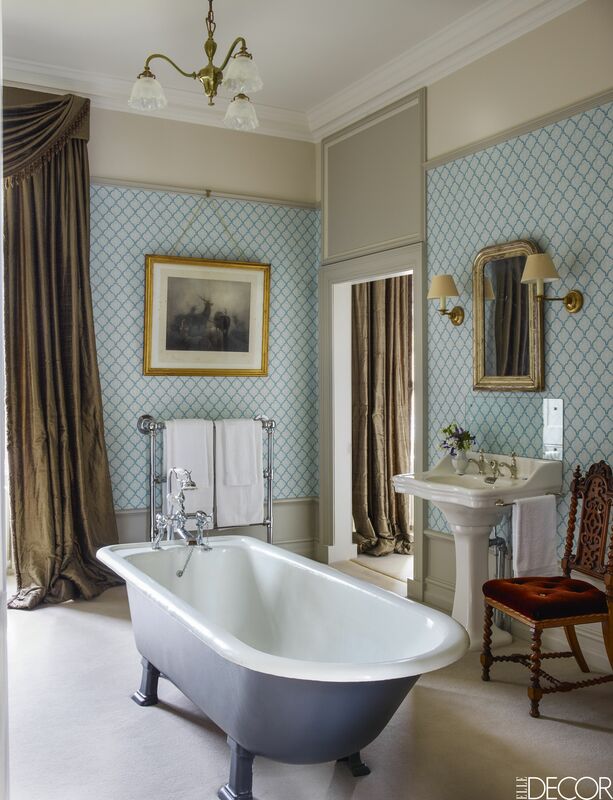 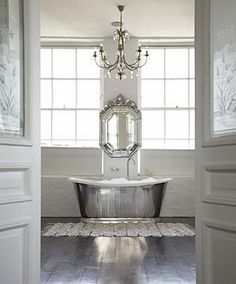 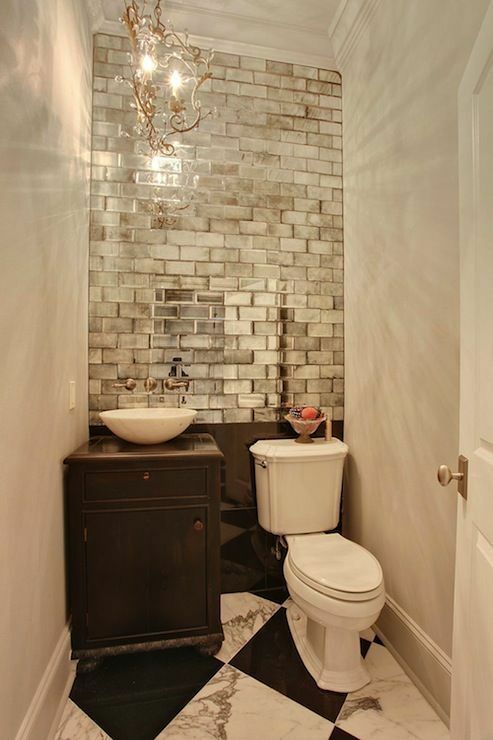 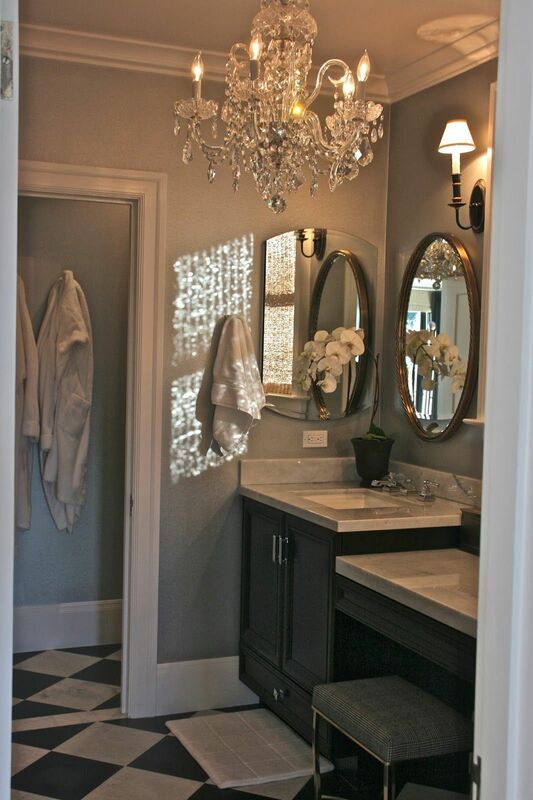 A silver-leafed mirror by Eloquence lends a vintage vibe in this master bath . 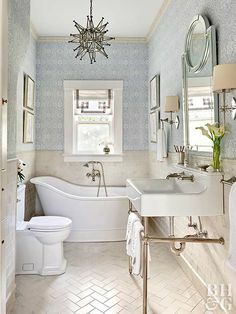 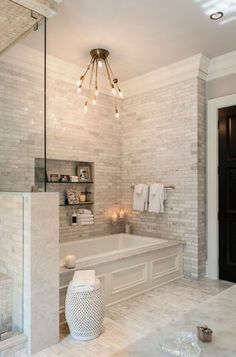 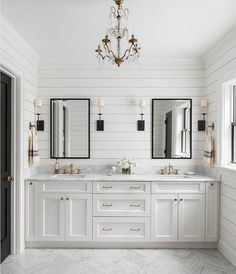 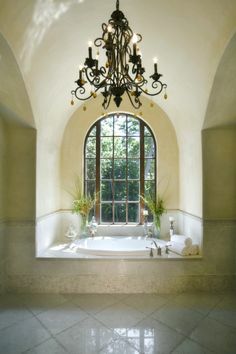 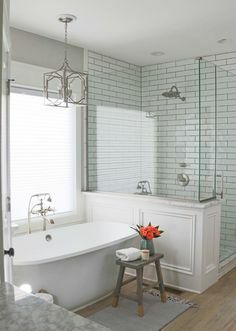 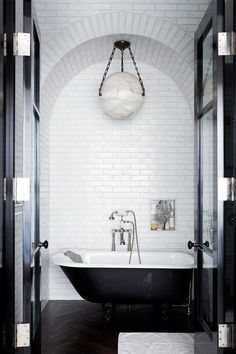 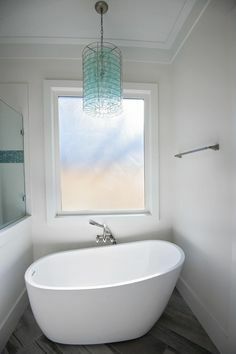 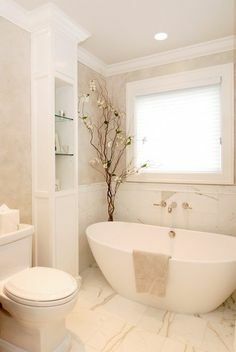 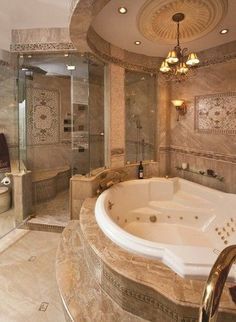 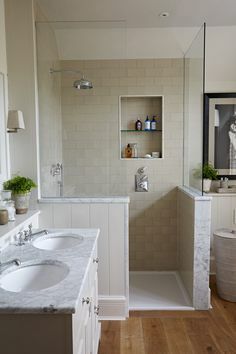 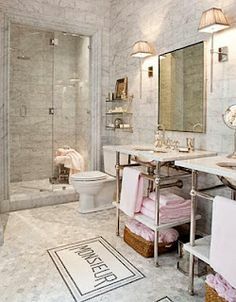 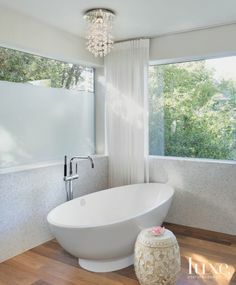 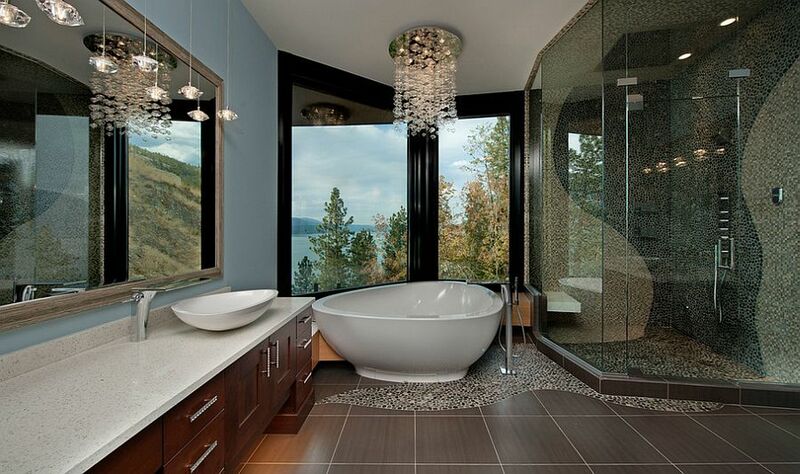 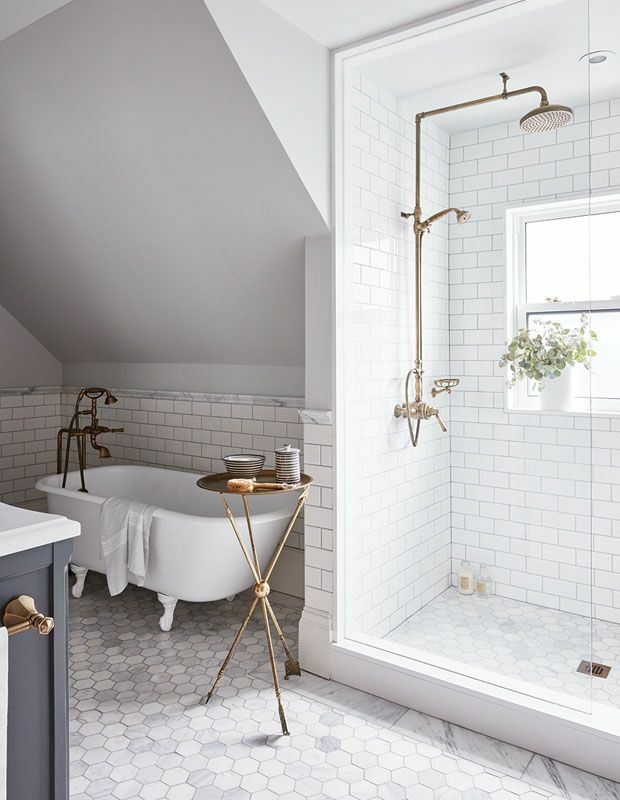 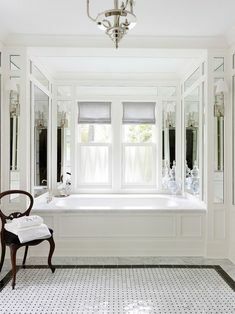 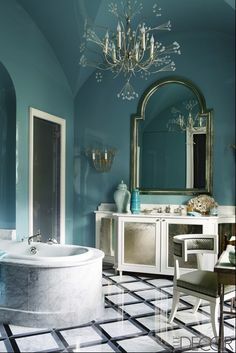 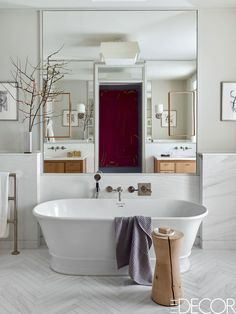 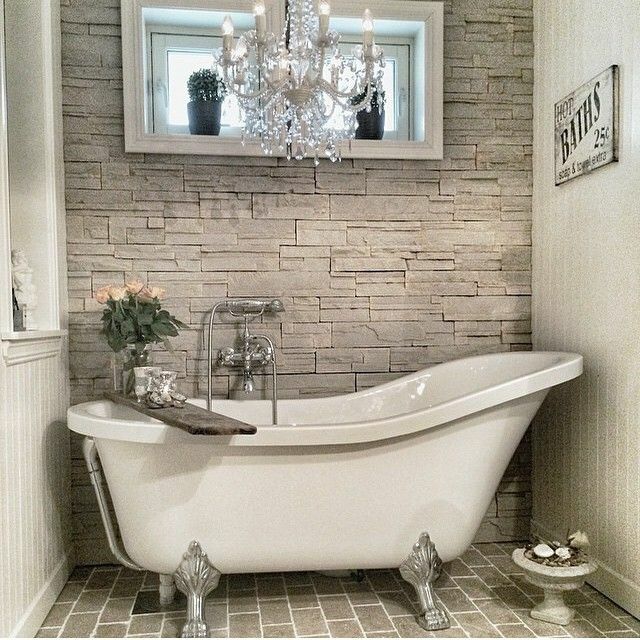 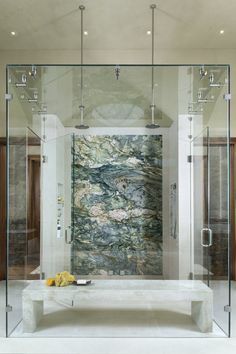 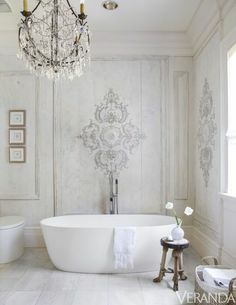 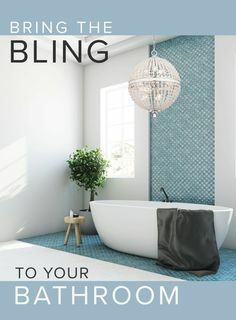 Great for small or half bath. 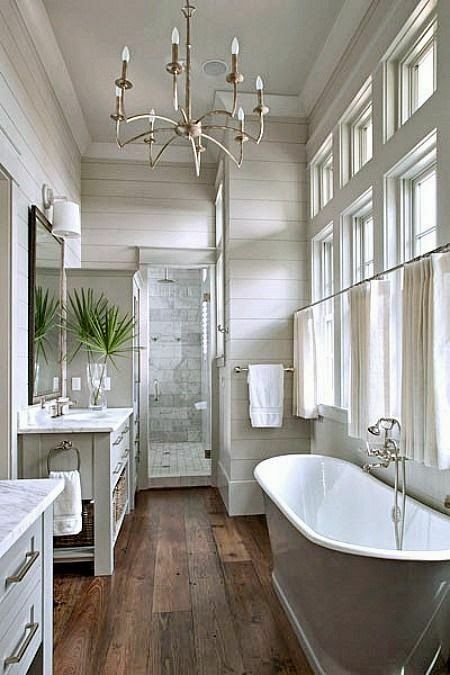 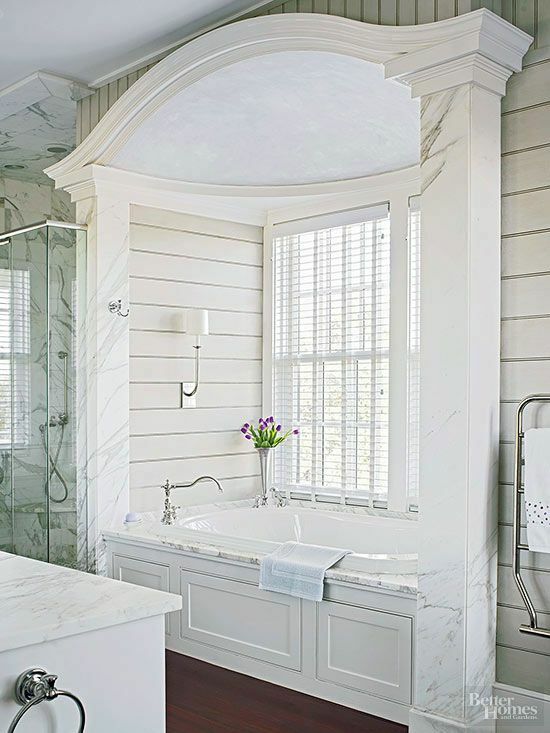 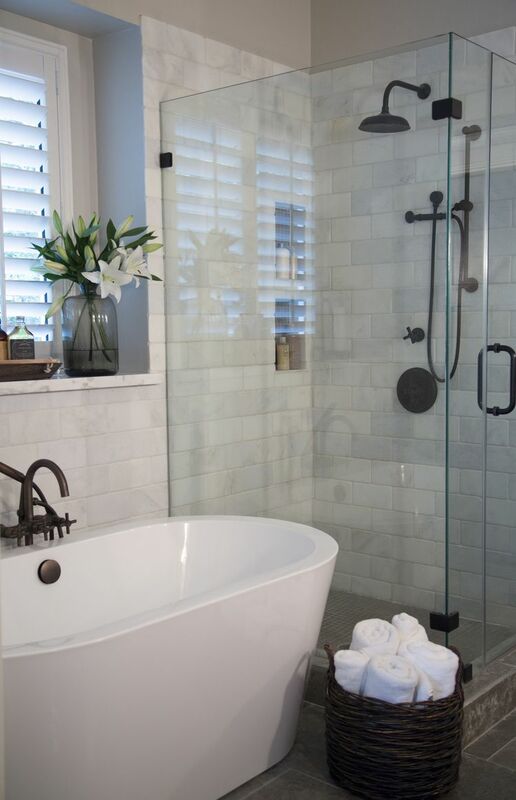 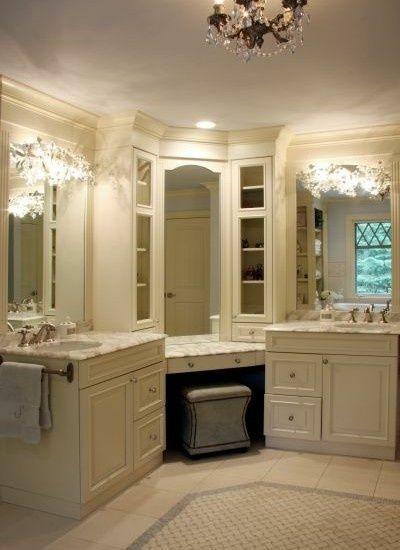 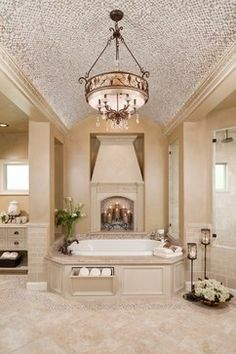 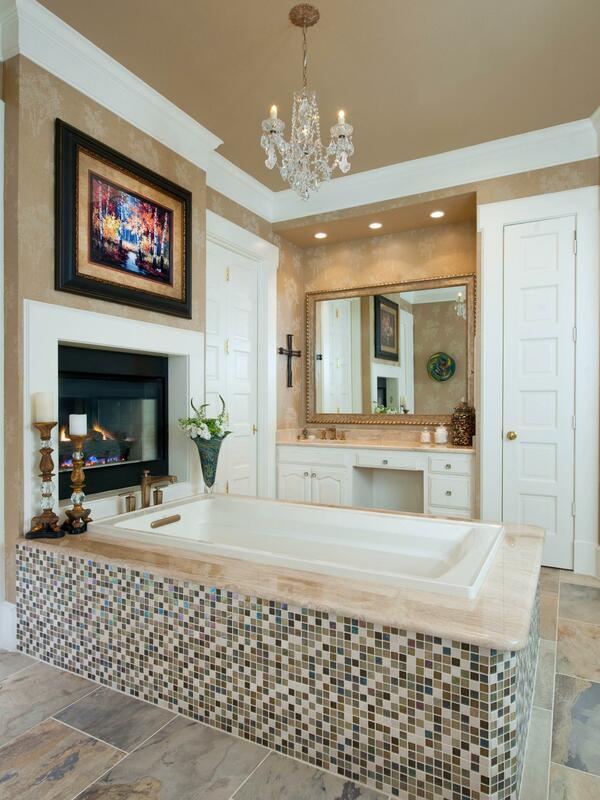 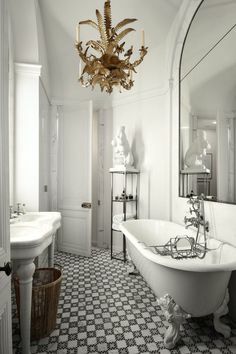 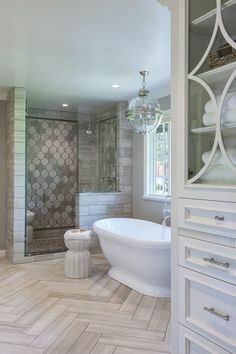 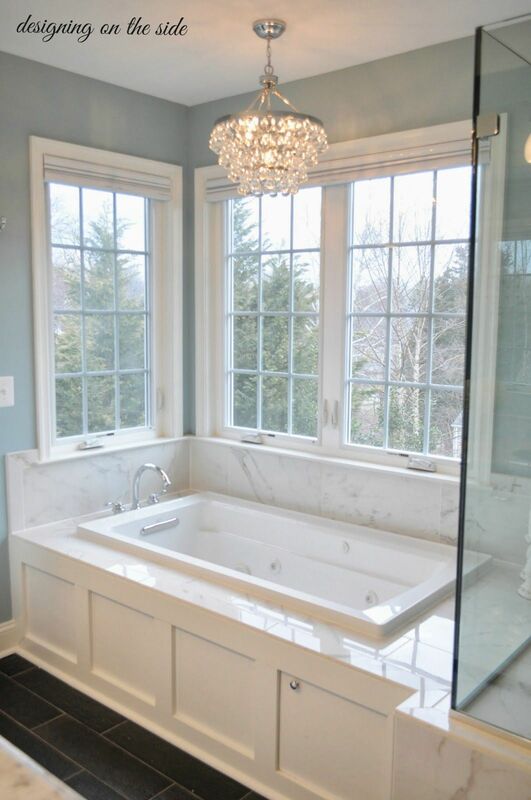 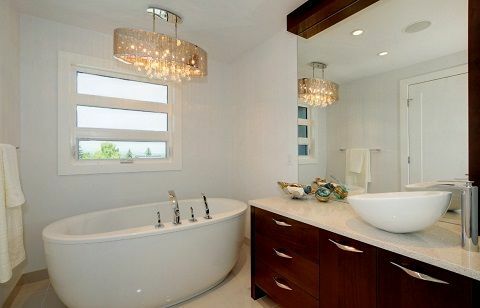 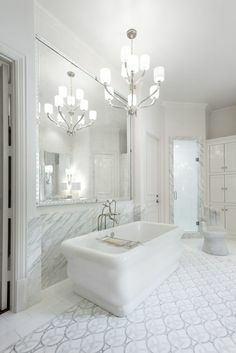 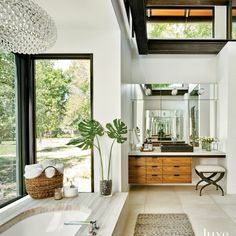 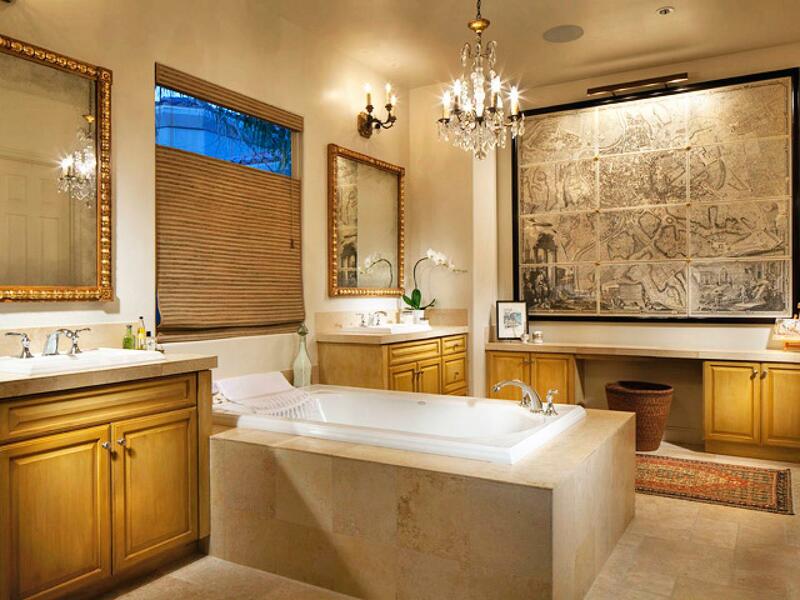 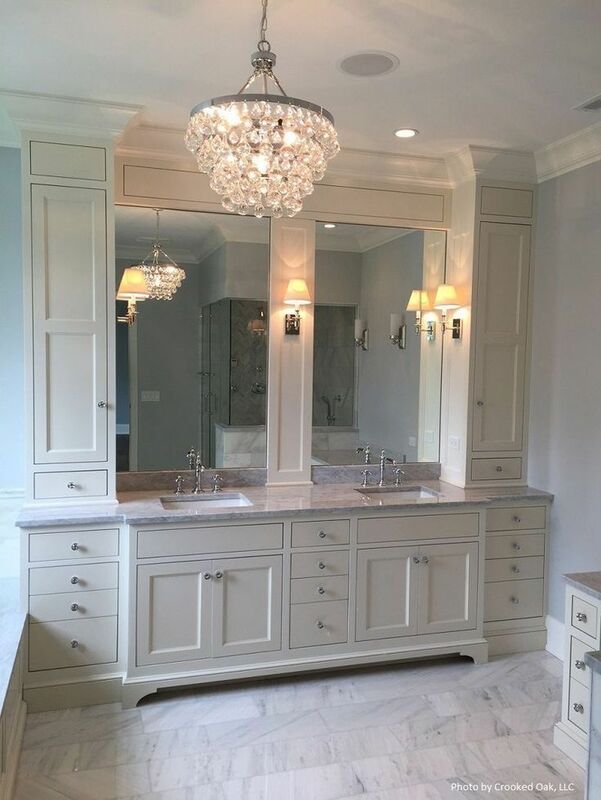 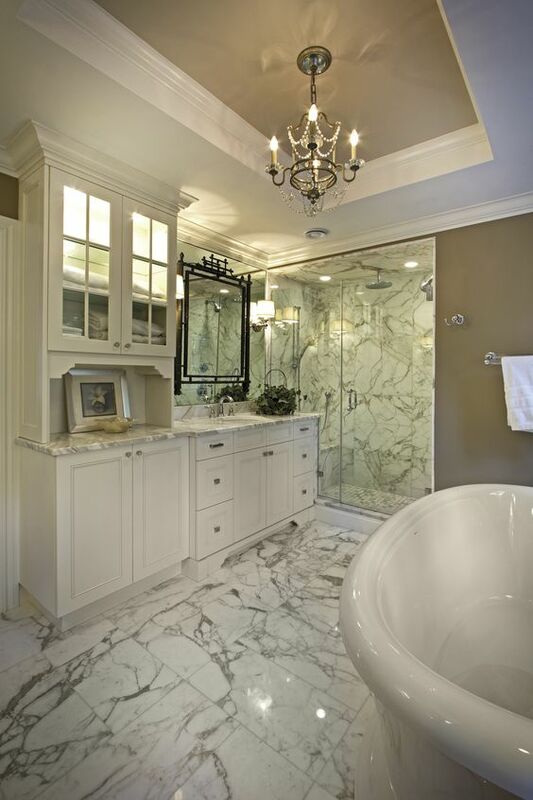 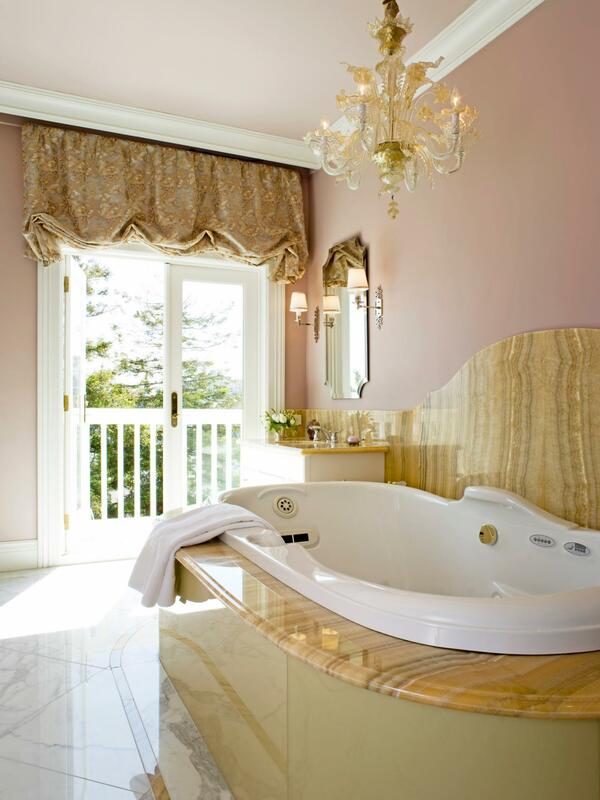 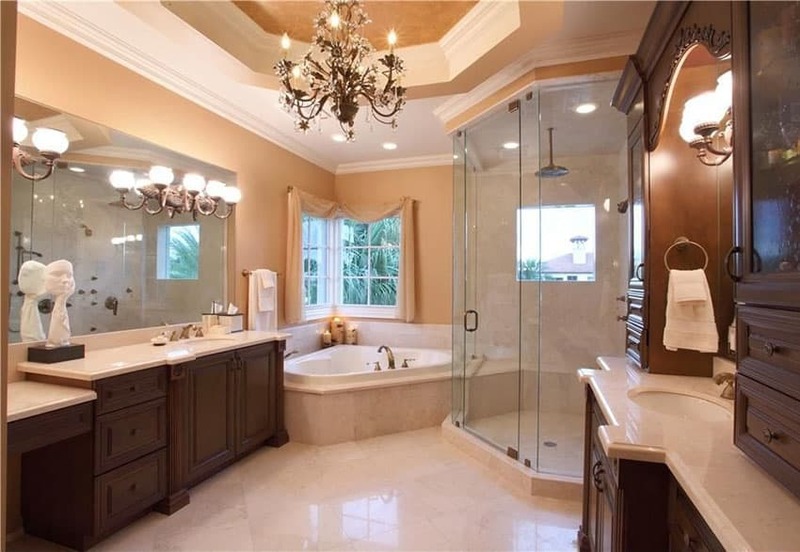 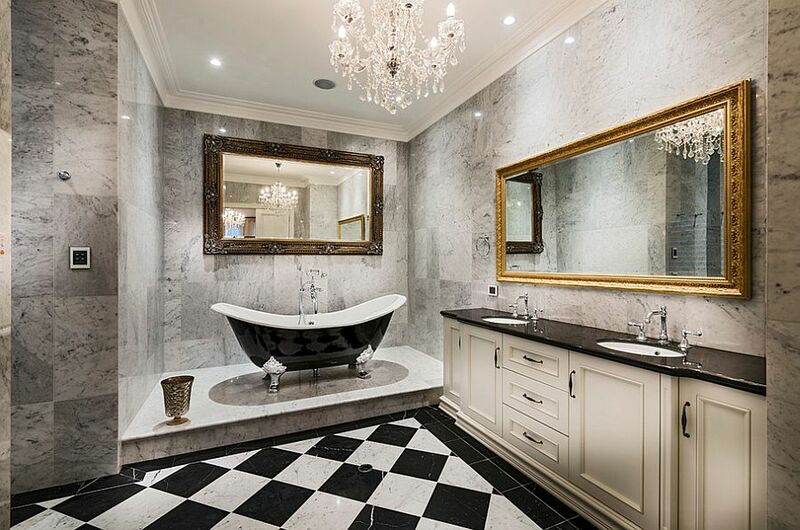 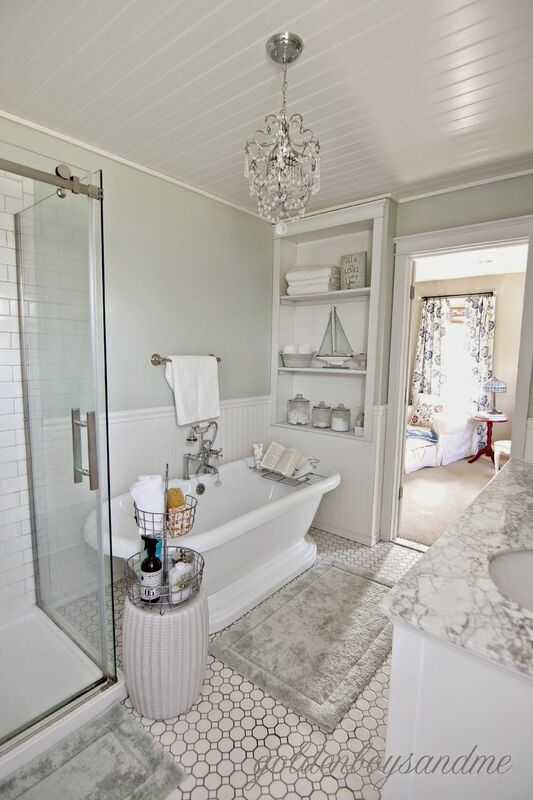 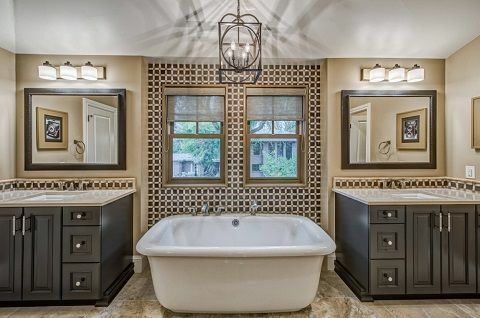 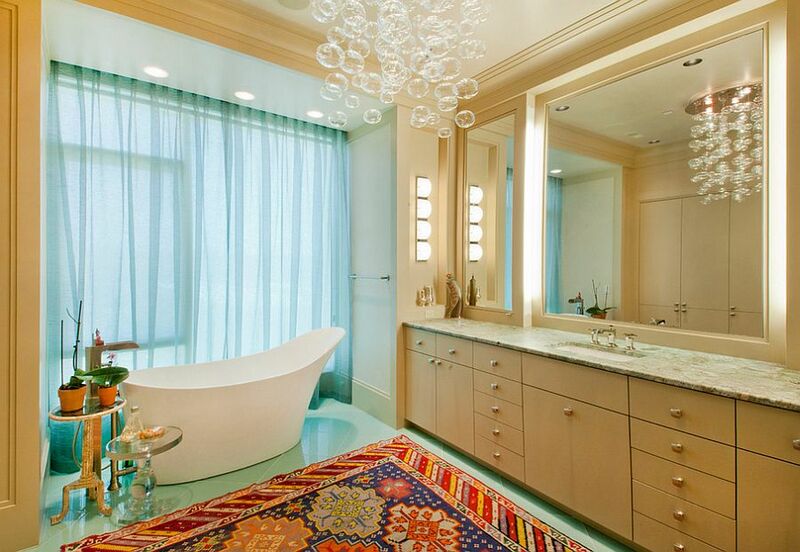 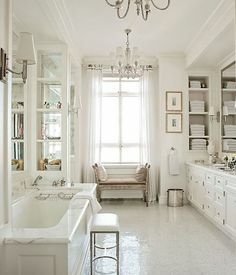 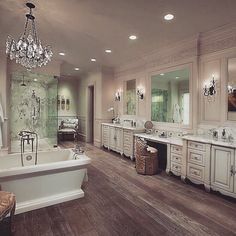 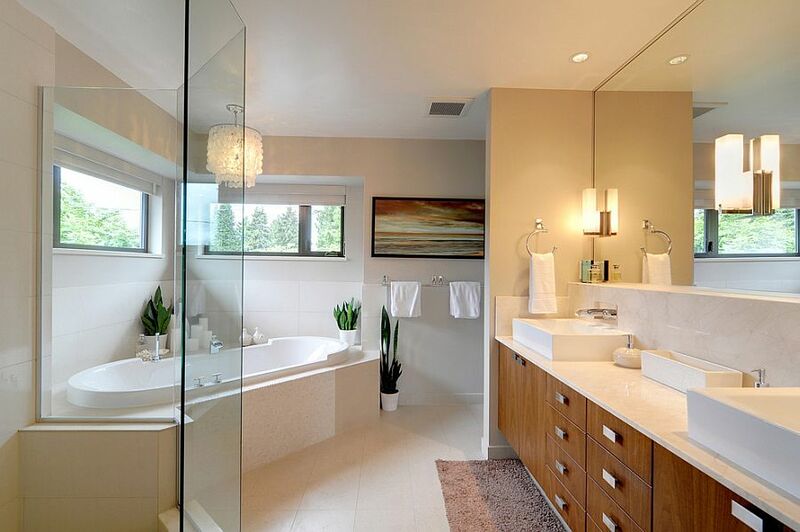 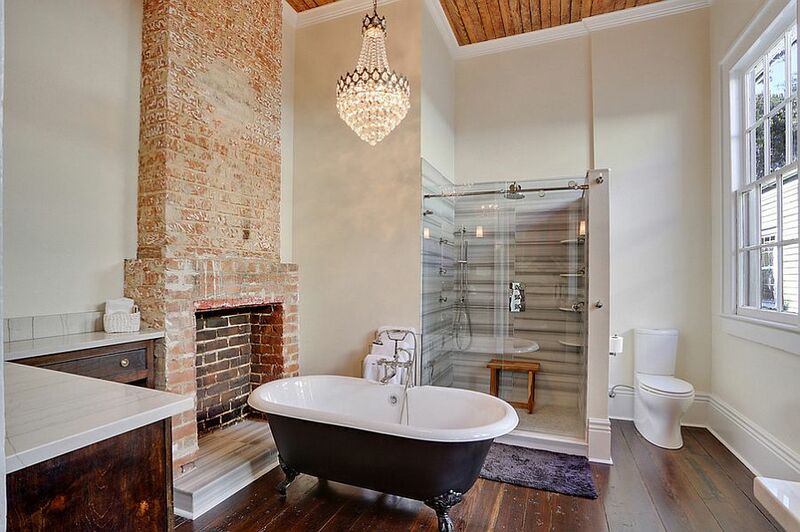 Master bathroom with tray ceiling, chandelier, freestanding tub and herringbone tile floors. 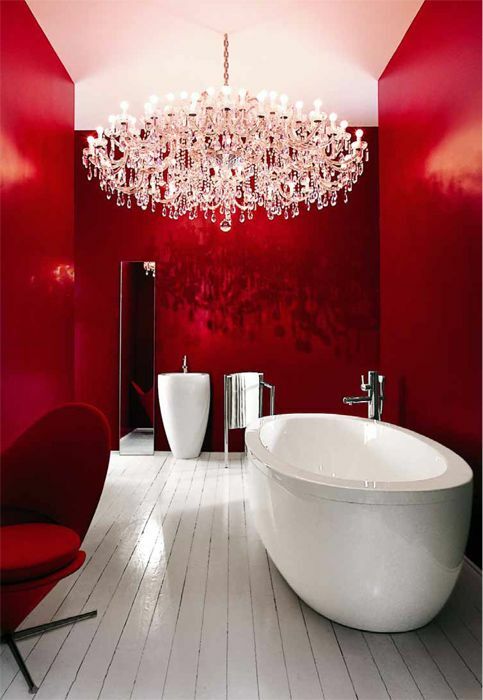 Stunning combination of red and white. 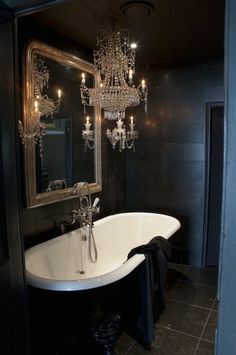 And that chandelier.....wow! 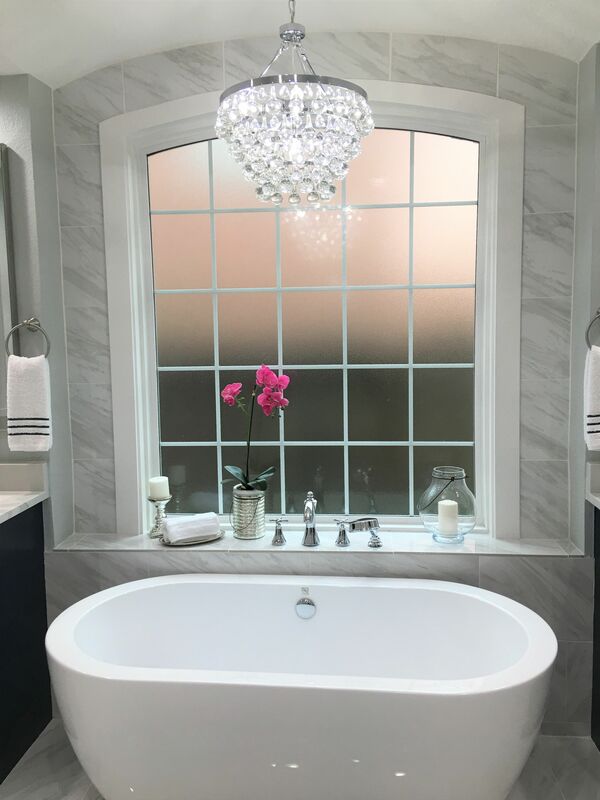 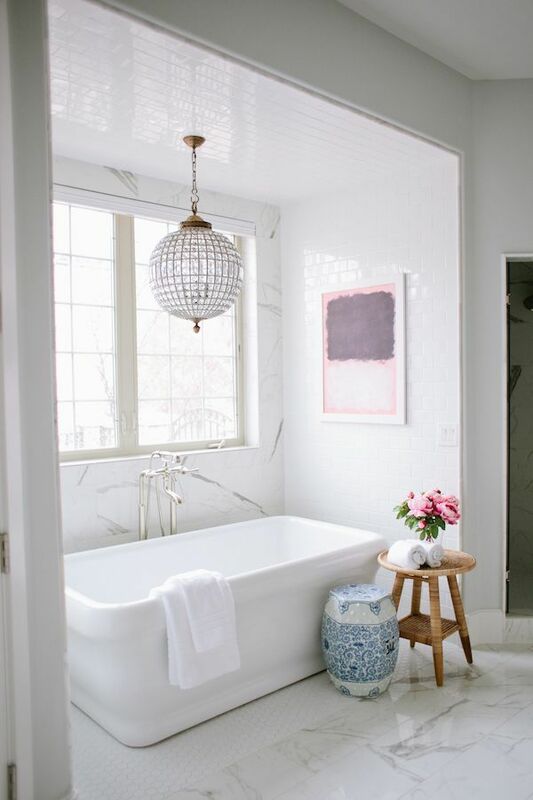 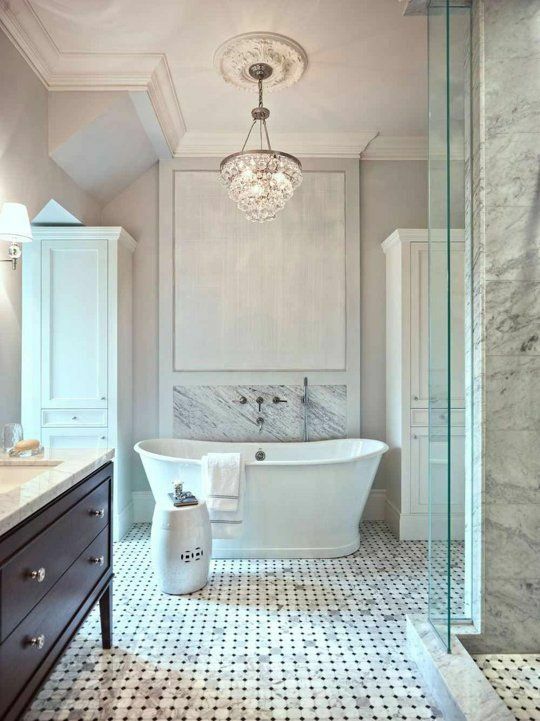 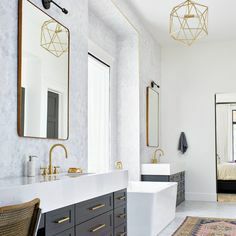 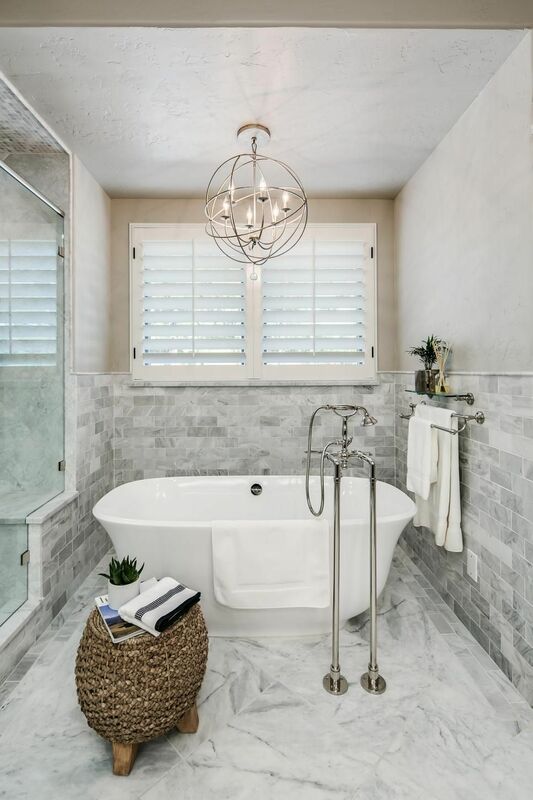 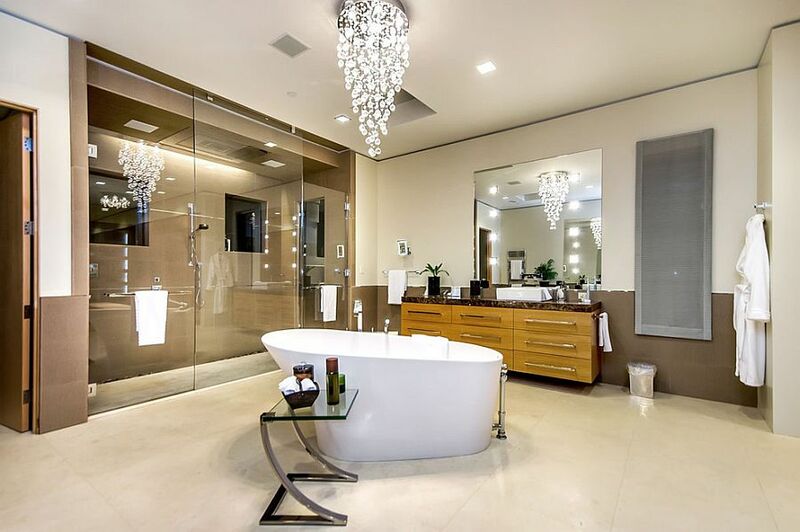 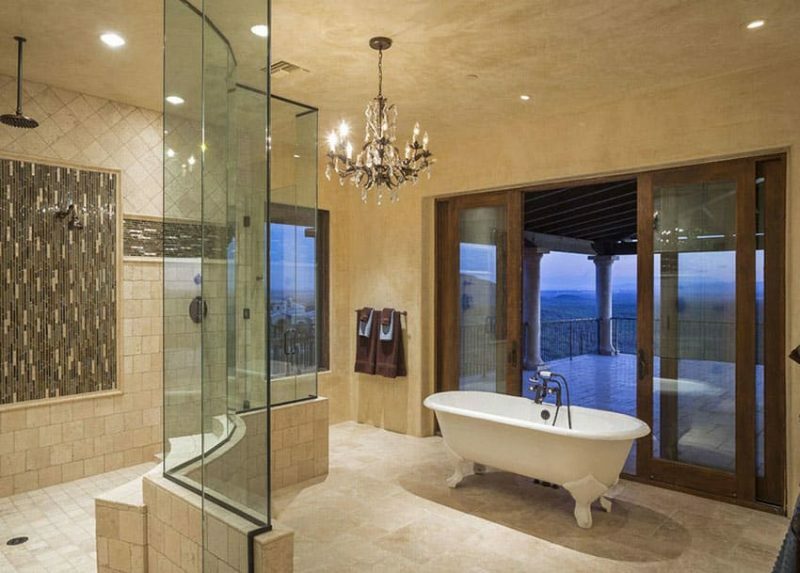 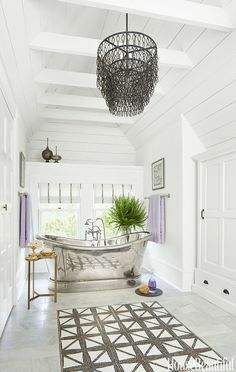 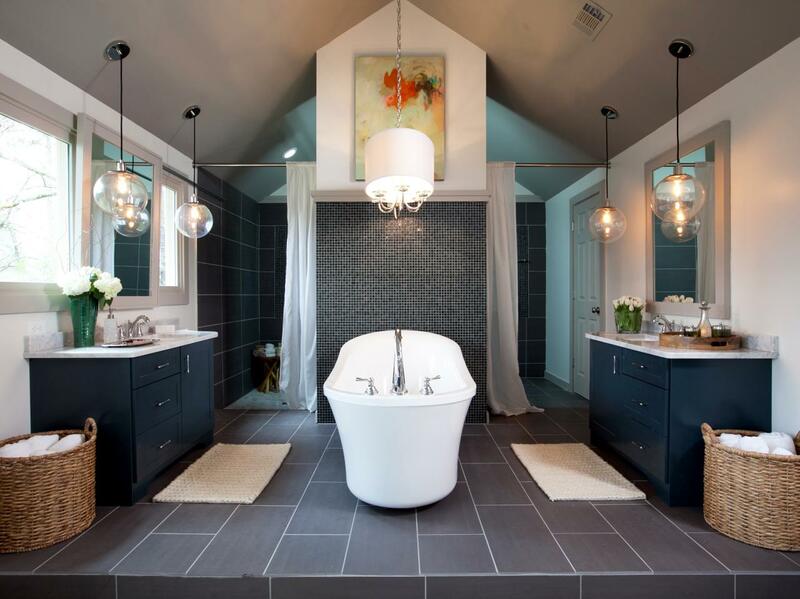 A metal orb chandelier is centered above the freestanding tub in this master bathroom, making the bathing area a focal point of the space. 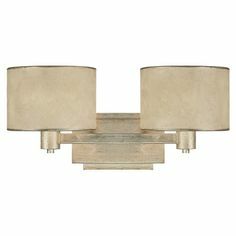 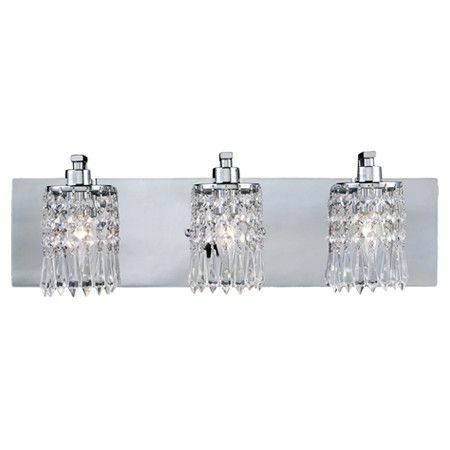 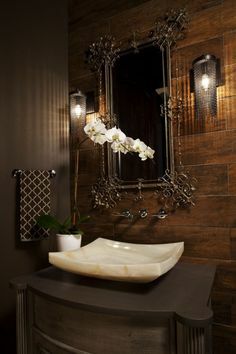 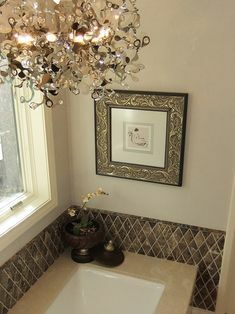 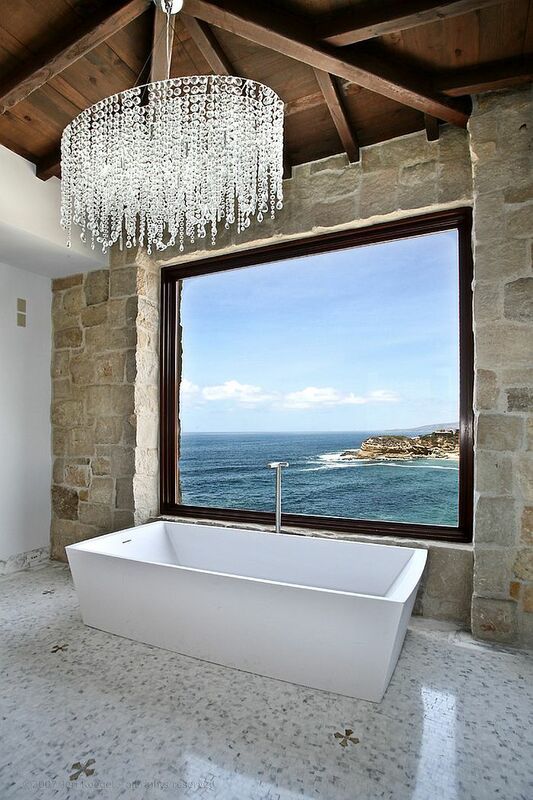 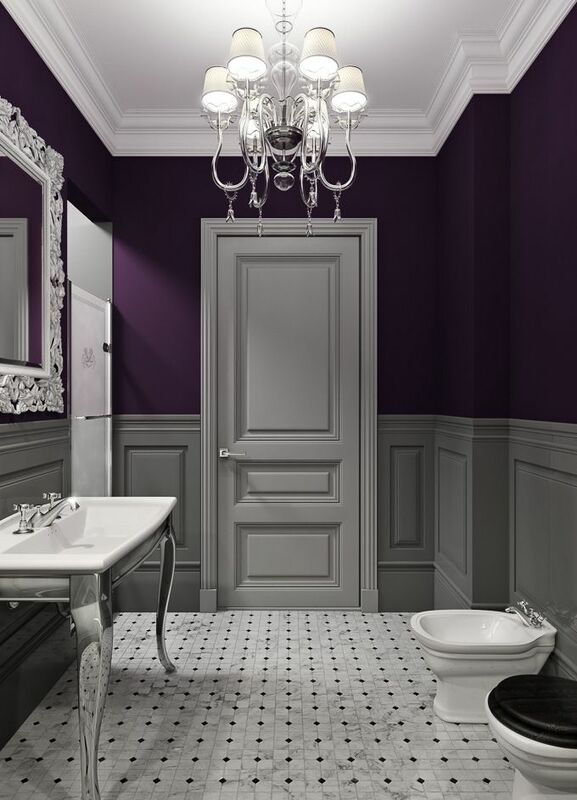 Bathroom ligth fixtures - New style side mirror mounted wall sconces adds a new look plus more functional light. 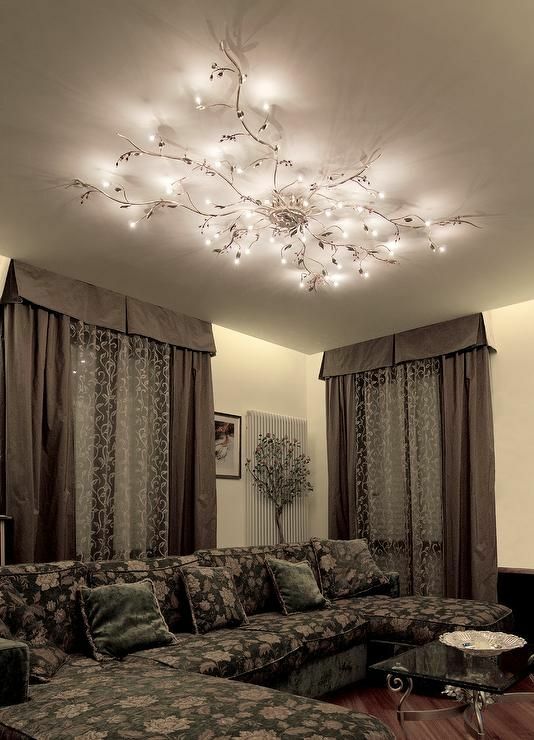 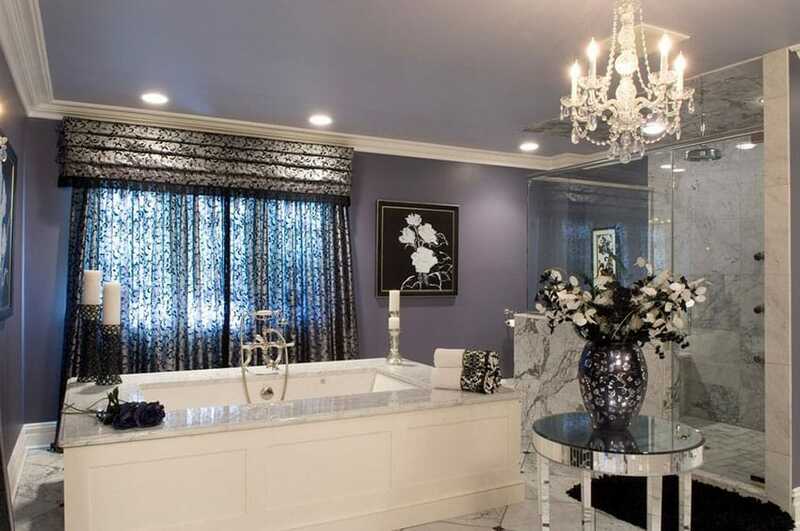 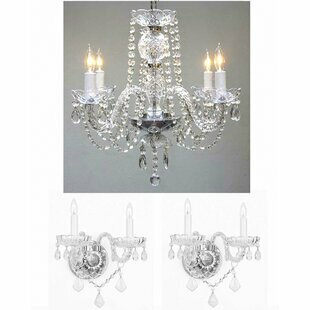 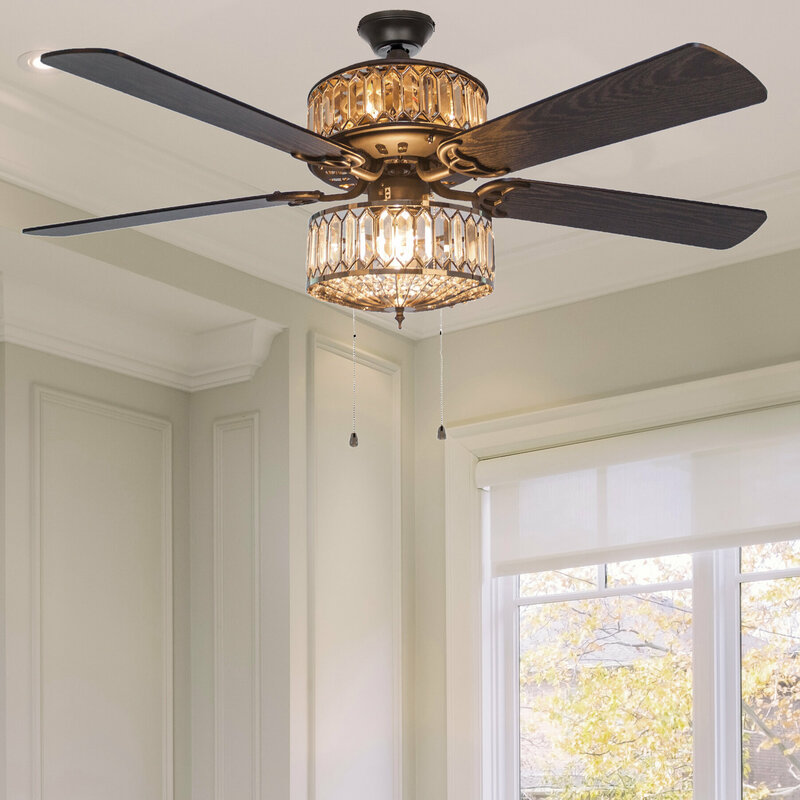 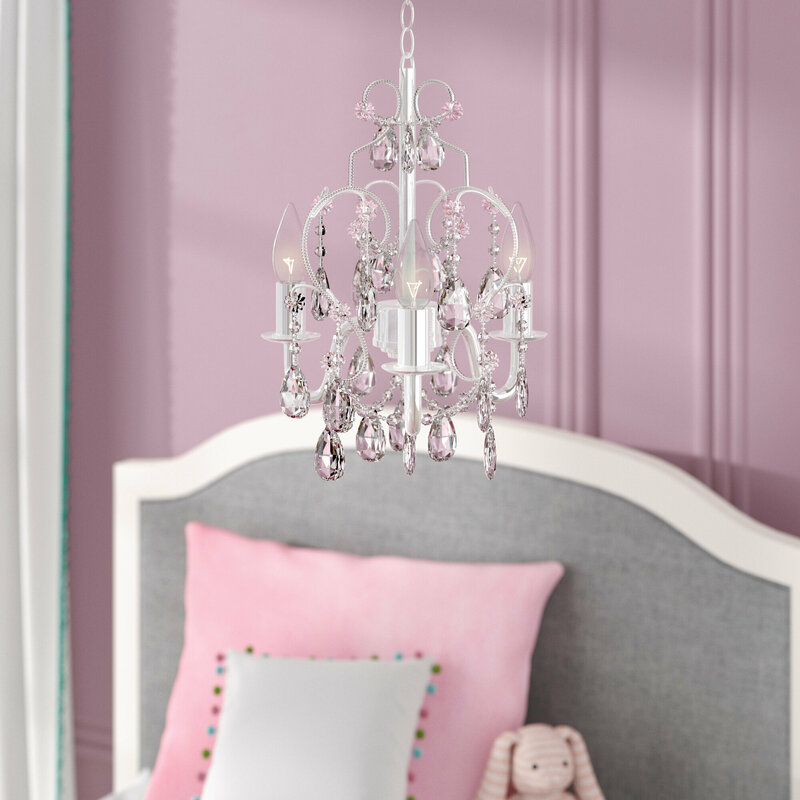 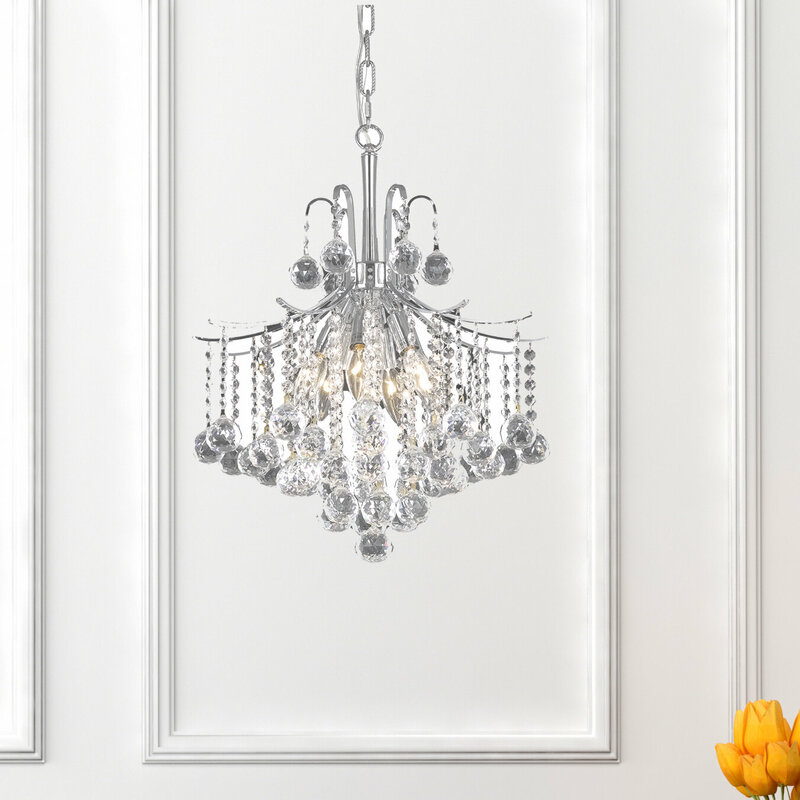 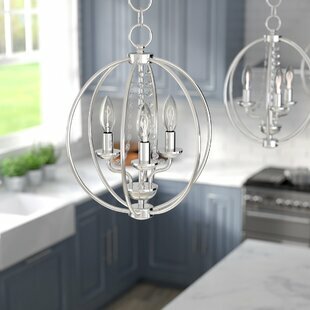 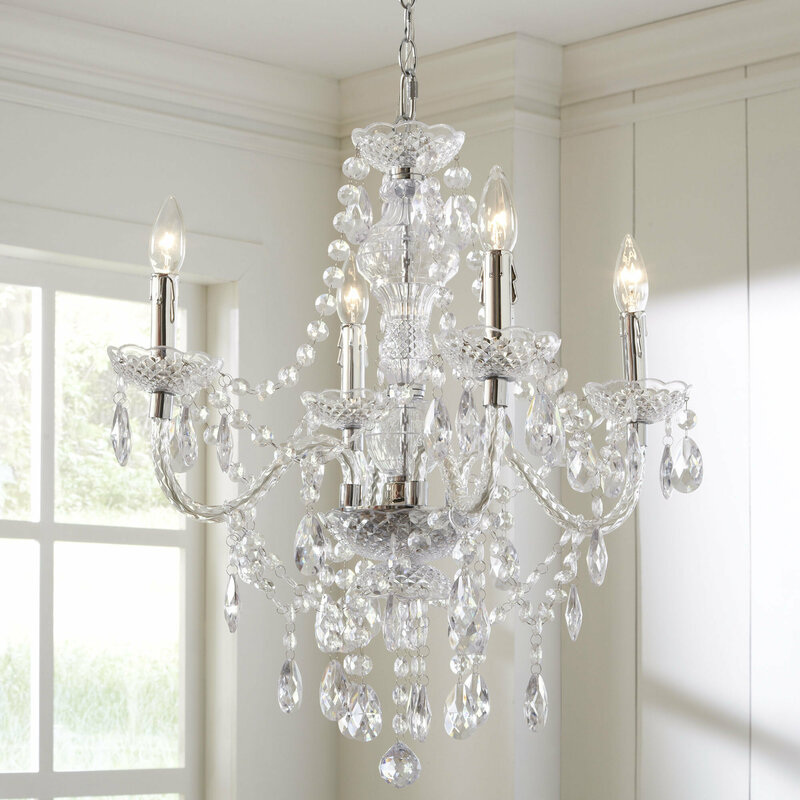 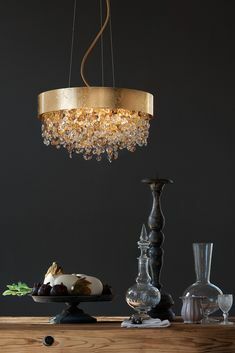 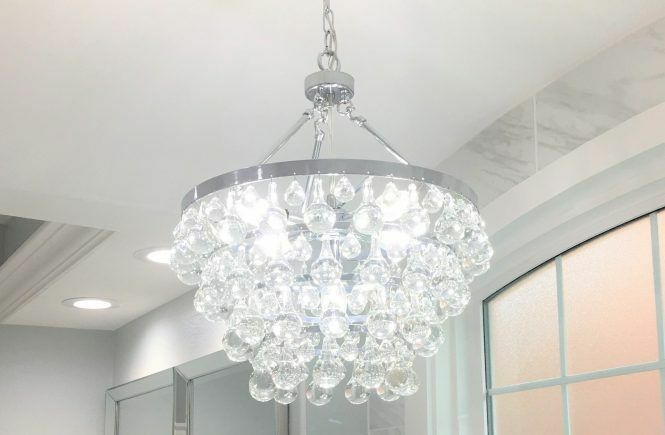 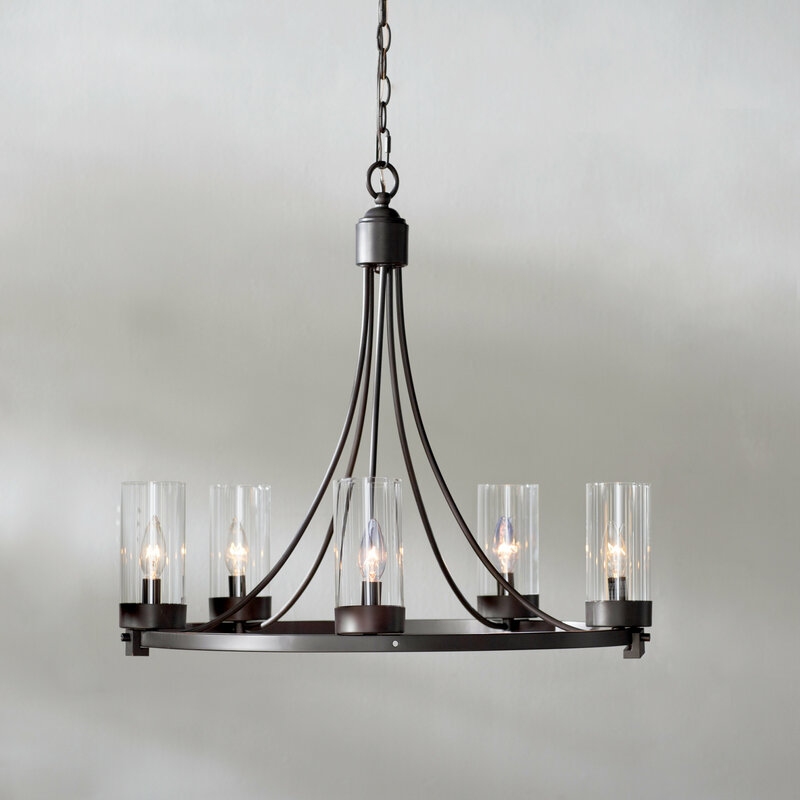 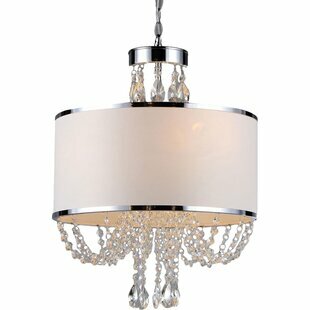 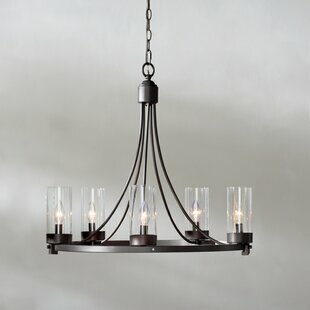 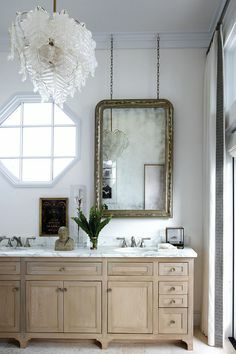 Pendant and chandeliers add glamor.